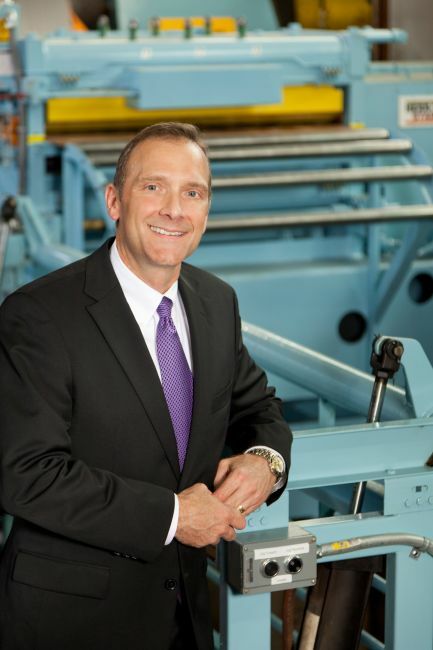 Joe Eddy, president and chief executive officer of Eagle Manufacturing Co. in Wellsburg, will be the featured speaker at this year’s Commencement exercises for West Virginia Northern Community College. The graduation celebration is scheduled to begin at 7 p.m. Friday, May 9, at WesBanco Arena in Wheeling. Eddy is past chairman of the board of the West Virginia Manufacturers Association and serves on its executive, M2M-Marcellus to manufacturing, finance and education committees, as well as chairman of the WVMA Education Fund, a non-profit supporting community and technical college education in West Virginia. An active member of the WVNCC Foundation Board of Trustees, Eddy also is on the advisory board at the McDonough Center for Leadership and Business at Marietta College, on the board of the Regional Economic Development Partnership and founded the Joseph and Debra Eddy Foundation, as well as the Joseph Eddy Technology Fund at West Virginia Northern. Eddy holds a bachelor of science degree in petroleum engineering from Marietta College and has held engineering, finance and management positions at Amoco Production Co. in Andrews, TX; Gulf Oil Corp in Bakersfield, CA; Spectrum Resources in Marietta, OH; Tazwell Corp in Jackson Hole, WY, and two of his own startup companies, Oilfield Services Corp and Enhanced Technologies. He recently was recognized in the State Journal Who’s Who in WV Business and his company was ranked number five nationally in Chief Executive Magazine’s 2012 Best Private Companies for Leaders. He and his wife, Debbie, reside in Wheeling.